Innovative colonoscopy centre, dedicated to saving lives by screening patients for colon cancer sooner. At Vaughan Endoscopy Clinic Inc., the founding principles are to provide high quality, timely, public screening colonoscopy in a comfortable environment. Members of the clinic are strong believers in the highest standards of patient care and have been active participants in the province's colon cancer screening program initiatives. The endoscopists performing the colonoscopies are all experienced physicians from Greater Toronto Area hospitals. Our vision is to reduce the long waits for quality services, and eliminate the multiple doctor visits required in the hospital based system. 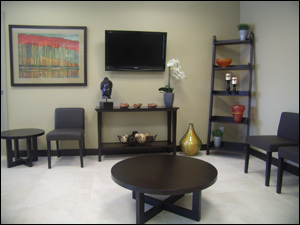 and patient satisfaction are our goals." © 2008 Vaughan Endoscopy Clinic. All Right Reserved.